Musical theater and live audiences: they go to together (like rama lama lama, ka dinga da dinga dong). 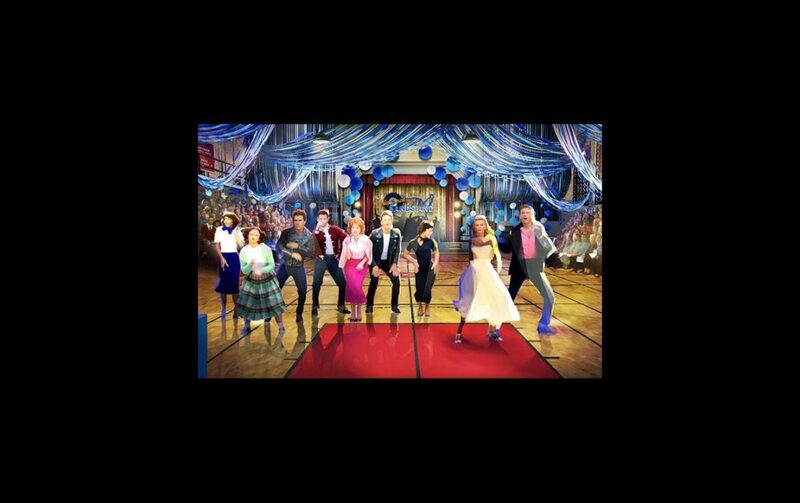 When Grease: Live airs on Fox next month, be on the lookout for not only an all-star cast (including Aaron Tveit, Julianne Hough and Carly Rae Jepsen), but also an audience filling the halls and bleachers of Rydell High. Director Thomas Kail and production designer David Korins (the team behind Hamilton) recently revealed that unlike its NBC-produced predecessors, Grease will invite audience members (by the hundreds) to be a direct part of the live broadcast experience. The telecast will utilize multiple sets across three sound stages: an outdoor location, an assortment of traditional three-wall sets and the gym: a four-wall, 360-degree unit that will offer an environmental and immersive space for the performers and the audience. Spectators will be scattered through the sets, so everyone present will experience certain moments in-person and others through monitors. Kail is partnered with television director Alex Rudzinski (Dancing With the Stars), who will oversee the technical elements of the broadcast, including the movement from set to set. Audience members will be cultivated through outreach initiatives and contests in the coming week. Whether from the studio or from the small screen, you can catch Grease: Live on Fox on January 31.